Find your ideal pet friendly holiday cottage for you and your dog with LovetoEscape's selection of dog friendly cottages in Yorkshire. Yorkshire, with its National Parks, Areas of Outstanding Natural Beauty, the Pennines and a stunning coastline, has all the ingredients for a great holiday with your dog. There are plenty of great inland and coastal walks as well as woodlands and gardens to take in. 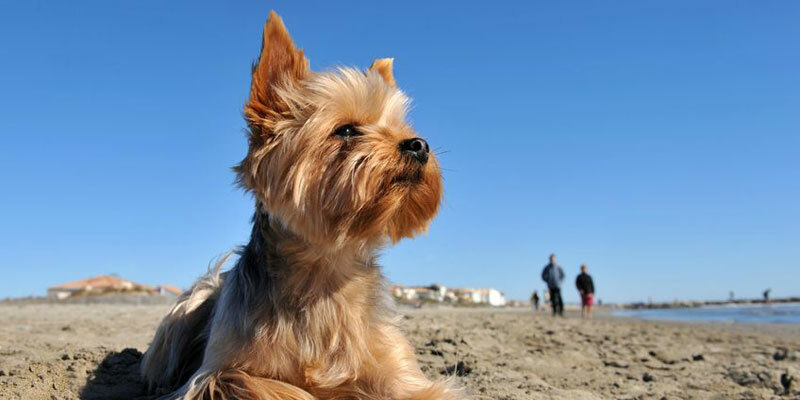 Many of Yorkshire’s beaches are pet friendly with miles of coast for you and your dog to discover. However, remember to check the rules as many Yorkshire beaches have some restrictions. There are plenty of pubs or cafés that are dog friendly throughout Yorkshire. Yorkshire features plenty of dog-friendly attractions – so there is no need to leave your dog at home while you explore. Historic castles such as Pickering, Richmond, Scarborough, Skipton and Helmsley all allow dogs on leads within the grounds. You can also explore the estates of Newburgh Priory, and Sewerby Hal. For something a bit different, board a steam train such as the North Yorkshire Moors Railway and the Settle-Carlisle Railway. Yorkshire is a fantastic area to bring your dog and offers a range of holiday accommodation to suit, including rural holiday homes, city apartments and dog friendly cottages. LovetoEscape offers a great variety of pet friendly cottages and self catering in Yorkshire to help you plan your ideal dog friendly holiday. Whether you are seeking luxury accommodation, accommodation for large groups or simply a place to stay for a short break, view our dog friendly cottages in Yorkshire. This grand, spacious property is a three storey period detached property, centrally situated in the village of Bempton and sleeping up to twelve people in four bedrooms.